Do you use a dedicated GPS unit on your bike or a Smart Phone? If you live in California you no longer have a choice. A judge has ruled that operating a phone based GPS on your motorcycle is too dangerous. Well thank you Mr. Nanny State! Now this is all based on California’s existing law banning the operation of a cell phone while driving. So I am assuming that operating a standalone GPS is still ok. Which of course makes no sense at all. I am all for safe motorcycling and understand that anytime you take your hands off the bars you are increasing risk, but this is just another example of America’s legal system lacking common sense. I love my “Dual Sport Maps” app on my Android and I also know many you love “Motion X” on their iPhone. Will this sort of ruling ban the use of these apps here in Minnesota sometime? Only time will tell. End of rant. The website uses the Meetup.com engine to run things. So hop on over to the new site, sign up, and RSVP for an event, or create your own. I will no longer be maintaining an event lists here on this blog, but instead will link to MinneADV.org. Feel free to send in feedback on how you like the site. One tip for everyone; The site sets your email preferences to be very invasive. You will probably want to setup your profile to remove some of the spam emails from meetup.com. Thanks, and don’t let the snowstorm this week depress you. This guy really has some guts. Can’t wait to watch Part 2. Even if you aren’t a KLR rider, you should watch this. Living in the frozen north we understand the perils of winter riding, but this guy embraced them. Can’t give him enough props. 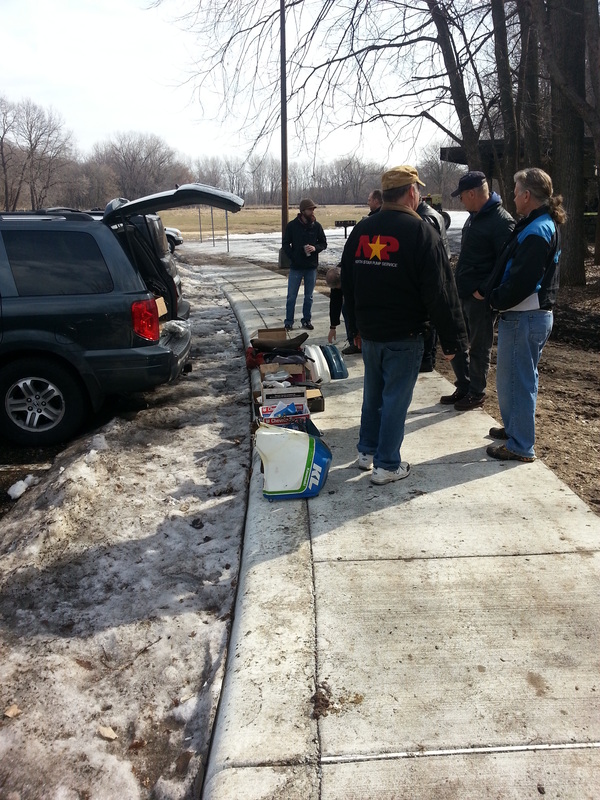 Thanks to all who attended the inaugural MinneADV swap meet today. 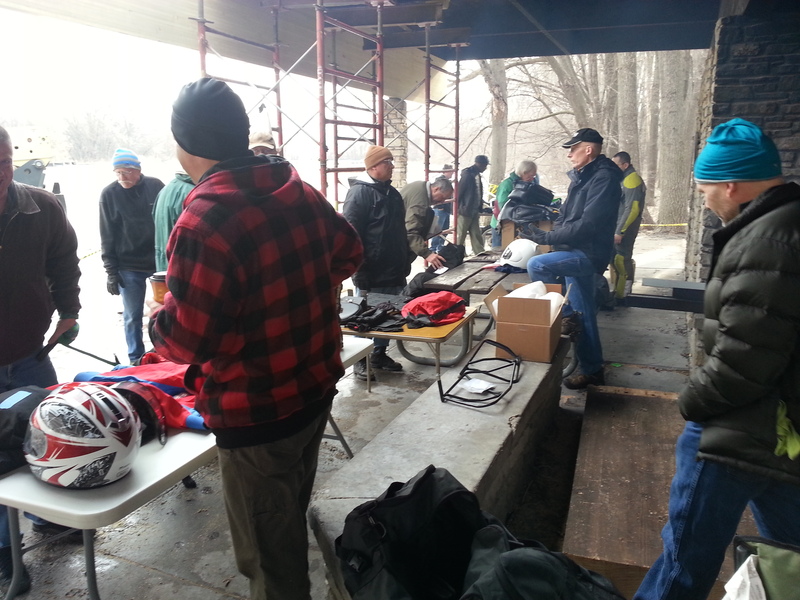 The weather was a bit disheartening this morning, but that didn’t stop a very good crowd from turning out. See photos below. In fact, by 9AM the rain and wind died down right on cue. It was great weather! We had a good balance of buyers and sellers. We also had a good mix of different parts and gear. I would say at the busiest hour (between 9-10AM) there were probably 50 people. We ran out of space in the pavilion and a few people just backed their vehicles up to the side walk and sold from there. There were a lot of new riders that I hadn’t met before and new stories to share. I think I talked with just about every seller and they were all glad they came. Most were just happy to clean out their garages and see their stuff go to a good home. Some suggested we do this again in the Fall. I’ll have to think about that. But we will definitely do it again next Spring! MinneADV Swap Meet ONE DAY away! Winter may be hanging on, but its time to get ready to ride! And what does that mean? You need new gear!! 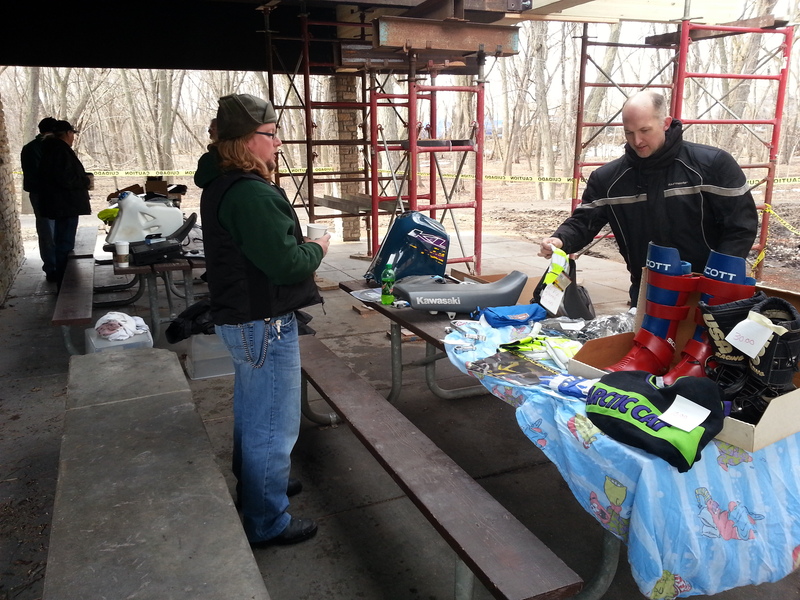 Join us for our inaugural Minne-ADV swap meet tomorrow, Saturday the 6th (rain or shine) from 9am until Noon. 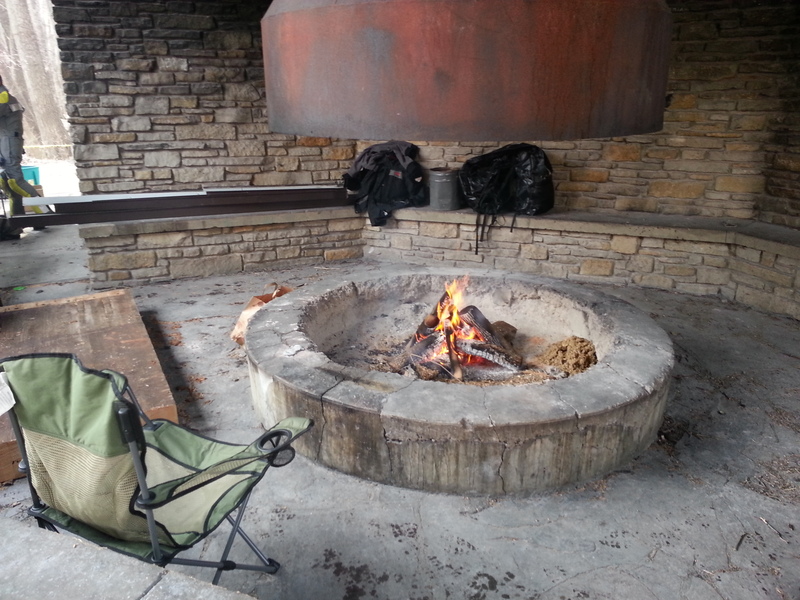 The pavilion at the park is big and will protect us from any sporadic rain showers and there is also a central large fire place that we will have stoked. This will be a great time to buy and sell, but also to meetup before the riding season “officially” begins. Join us! This is centrally located just off Interstate 35E and Shepard Road. It is the west entrance to the park. Go a mile west of 35E on Shepard. The sign on Shepard Rd. is for a marina. That is Crosby Farm Rd. The entrance is about 200 ft east of Hw5/7th st..
You are currently browsing the Minnesota Adventure Riders blog archives for April, 2013.